Young Business Woman Standing With Her Boss Conversation About The Business At Office Isolated On White Background. Banco De Imagens Royalty Free, Ilustrações, Imagens E Banco De Imagens.. Image 77500976. 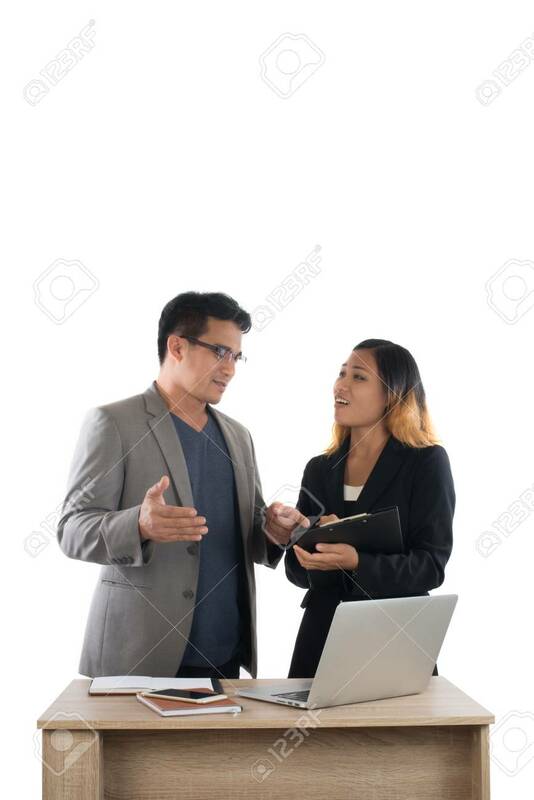 Imagens - Young business woman standing with her boss conversation about the business at office isolated on white background. Young business woman standing with her boss conversation about the business at office isolated on white background.